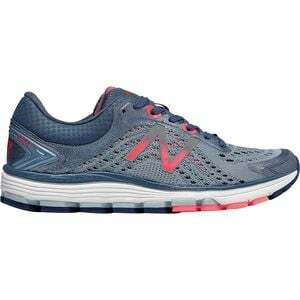 Great for both short and long distances, the Women's New Balance 1260v7 Running Shoe delivers premium stability and superb cushioning without sacrificing style. This shoe was designed to be a game changer for runners who overpronate by offering support from the combined efforts of the midsole and rubber outsole. Together, these two absorb shock and offer stability bringing much needed relief to tired joints. While the 1260v7 is similar to prior models, it comes updated with an updated nitrogen-infused FuelCell midsole that offers more cushion for extending your runs into marathon territory. The mesh upper keeps your feet ventilated and breathing over the course of your circuit. Plus, New Balance manufactured the 1260v7 domestically in the United States, so with every purchase, you're actively supporting American families.